WHEN Red One Networks Sdn Bhd (redONE), Malaysia’s first postpaid mobile virtual network operator (MVNO), introduced its mobile paperless sales platform few months ago, its goal was to kill a few birds with one stone.By riding on its mobile sales platform mReg, the company and its sales agents would do away with paper-based registration.redONE, which currently has more than 350,000 subscribers, and hopes to hit one million subscribers by the end of 2015. Assuming that it takes three sheets of A4-sized paper to register a new subscriber, mReg could potentially save redONE about two million sheets of paper between now and the day it captures its one millionth subscriber. “When we sign up a postpaid customer, we need to get the customer’s signature, photocopy both sides of his or her MyKAD (identification card), and get the customer to fill up registration form and an acceptance form,” redONE chief executive officer Farid Yunus told Digital News Asia (DNA). “In some ways, you could say that it’s worse than opening a bank account,” he added. It was even worse when redONE wanted to sign up customers in the field, during a roadshow for example, when extension cords would also be needed for photocopying machines. Now mReg allows it to save on the cost of paper for the various forms, and also save on storage space. “You need to keep the record of customer data for seven years, even if the customer is no longer with you. There are a lot of regulatory requirements for telcos,” said Farid. “Overall, I believe we can save about 5% of our operation expenditure from this initiative,” he added. 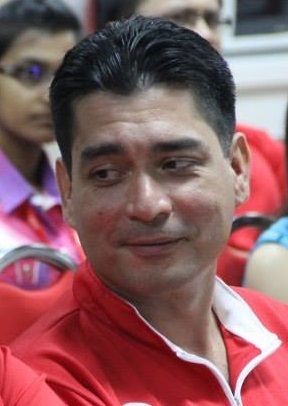 Farid (pic) is well aware that redONE’s rivals Maxis Bhd and DiGi.Com Bhd have established strong positions in the postpaid market, and both have deep pockets.Nevertheless, he said he isn’t afraid of the competition. In fact, he believes that this new paperless mobile sales platform will be one way gain a competitive edge.In the past, when a customer wanted to sign up for a mobile plan, he or she would have fill up a form at a redONE branch, but nothing happened until someone entered the data into the company’s systems. 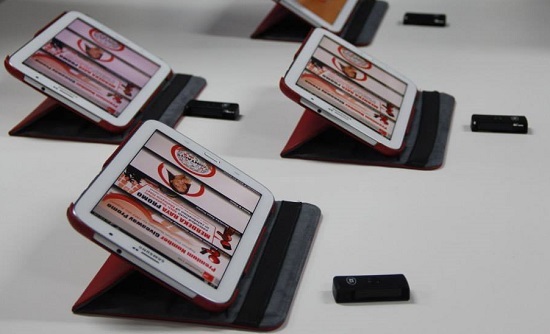 “With mReg … the customer fills up the form on the tablet, and moment the customer walks out of the branch, it is done. The line will be activated,” said Farid, stressing the amount of time that is saved. Today, the company’s 2,000 sales agents are each equipped with a Samsung tablet that allows them to sign up new customers, as well as to keep potential customers up-to-date with redONE’s latest promotions. “We don’t have to print flyers or promotional leaflets anymore. All we need to do is upload the latest promotional details on our server, and it will be pushed to the agents’ tablets in real time,” Farid said. He said that the system also allows the company to minimise data entry errors. Most of the time, the person who helped the customer sign up is not the one doing the data entry. “Errors can occur during data entry for various reasons – for example, if the person can’t decipher the handwriting, resulting in errors like names not tallying with that on the MyKAD,” Farid said. “We are left to deal with the mess at the end of the day,” he added. Also, with mReg-powered tablets and MyKad readers, sales agents can find out if potential customers have been blacklisted by other telcos. “If they have been blacklisted, we are still able to serve them – it’s just that they would need to pay a higher deposit,” Farid said. Those not blacklisted will only need to pay 50% of their package’s credit limit as deposit, while those who are blacklisted can subscribe to a postpaid line by paying 100% of the credit limit as deposit. 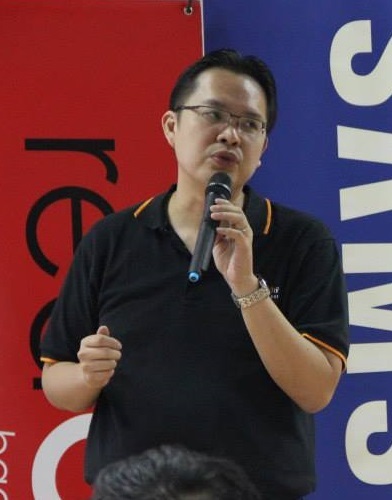 The mReg system was developed by local software engineering company Innov8tif Solutions Sdn Bhd.Its managing director George Lee (pic) said that its sales mobility solution includes a secure enterprise integration toolkit for data integration with the client’s existing enterprise backend system.“What we do is the whole mobility architecture. We have a middleware called EMAS, short for enterprise mobile application server,” he said. “EMAS is basically the component that connects the company’s front-end mobile app to its back-end system,” he added. Lee said more companies are looking at such solutions as they move towards a BYOD (bring your own device) culture. “Enterprises are building up their infrastructure in terms of BYOD and mobility. They buy tablets for the staff, they have people going around with the devices, but they don’t have a solid application to use. “The most they use is Salesforce.com [the cloud-based customer relationship management provider], but beyond that, do they have something that can sign up customers? “Not yet. But a lot of them have back-end services, so unless you visit a branch, most mobile salespeople are not ready to serve you,” Lee argued.